Reading Olympians--Pump up your vocab! Before spring break we decided to really amp up our vocabulary learning. This is something I feel like I've tried 1000 ways to teach this year and I never truly feel like my kiddos master how to understand new words. The biggest struggle I see them have is with informational text, which is why this program is PERFECT! We transitioned easily into this program by finishing up our Informational Text unit with our Figuring out Unfamiliar Words practice! This is all part of my Informational Text unit and my kiddos love it! 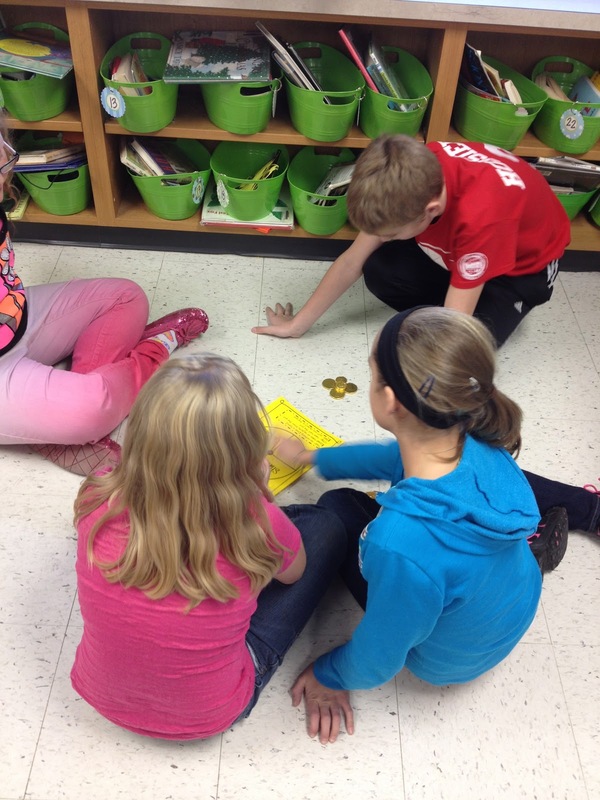 Then, we played prefix and suffix goldfish using my Common Core prefixes/suffixes pack to review the ones we've already learned! We then dived right in to the Reading Olympians program! We only had one day to do an "intro" so I didn't get to take a lot of pictures, but after break we will be full go! My students are SO excited, and so am I! I really love how this program approaches vocabulary. By knowing the meanings of all of these roots, and the prefixes/suffixes too, WOW students can really make connections to some great words! Just after the first day I already saw growth and connections. 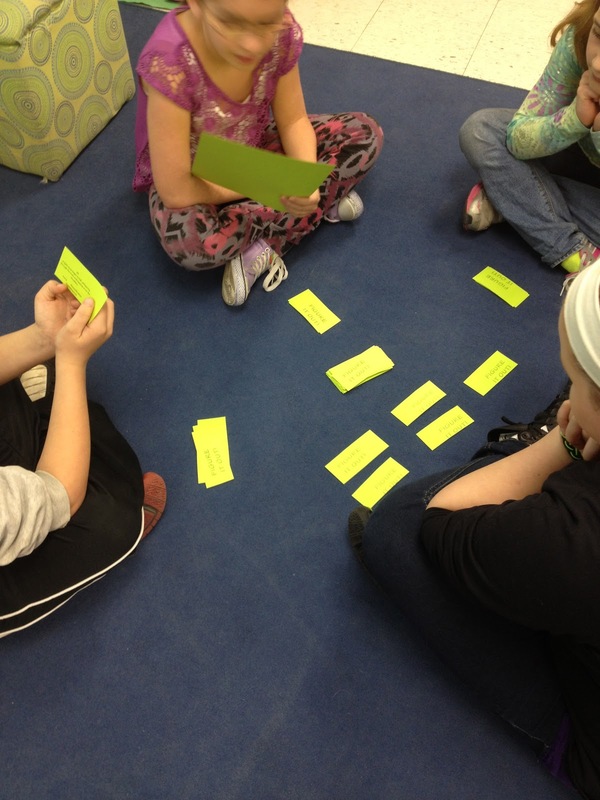 In the words of Brenda over at Primary Inspired, "Primary kiddos can be etymologists!" Like seriously, how awesome is that?! I introduced the program, and what we would be doing. 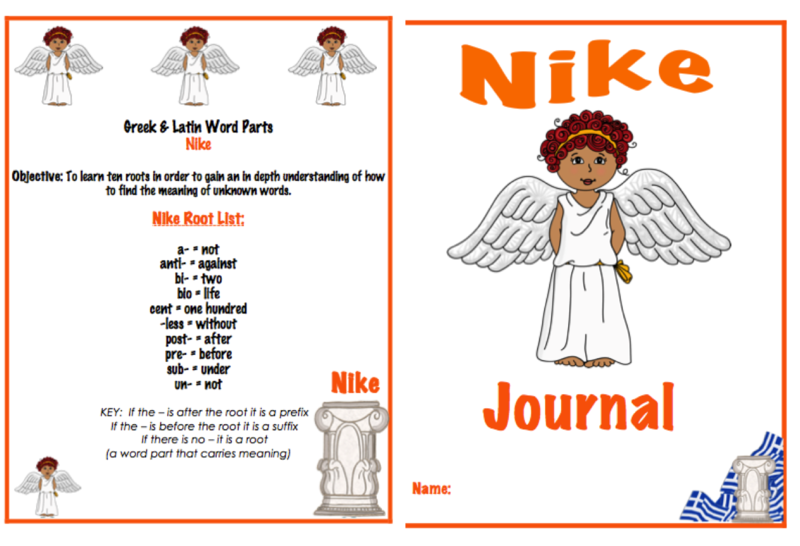 Then, we started making our first level's notebook "Nike" (my boys got the BIGGEST kick out of the correlation between the shoes and this goddess!) We also previewed the words and I talked to the kiddos about looking them over during break! Each level has graphic organizers, chants or "raps" for the kiddos to remember, student journal, and rings of vocab words for them to keep and remember. When students earn an 80% or above on a level, they are ready to move on to the next.